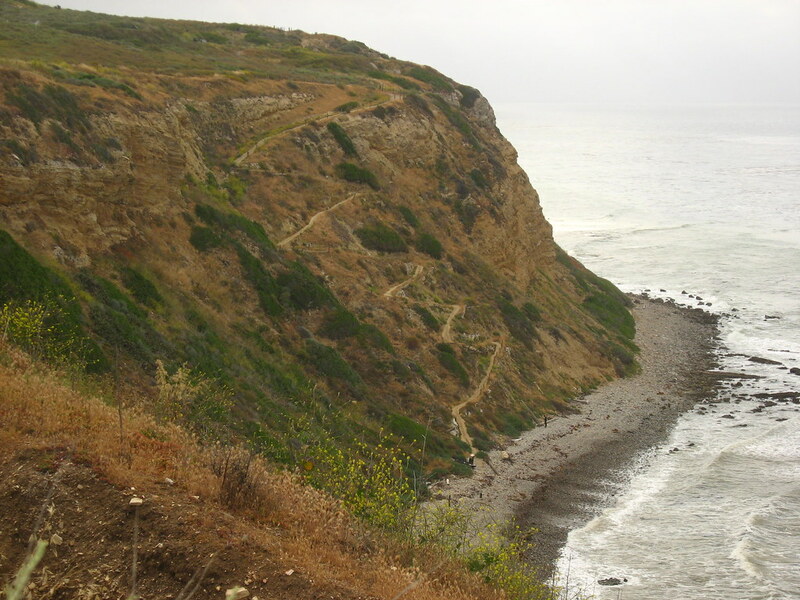 The Green Girl went on a trail run with her friend, Janey, this morning in Palos Verdes. After weighing my shoe options, I had stopped by the New Balance store on my way home from work on Friday to try out the stability models. The New Balance sales people are all too familiar with me and my fit issues. I was advised my best bet would be to try the 760's but the salesperson warned me if they didn't work out, I'd probably have to stick with my 1123's. I wore the 760's yesterday but I didn't get a chance to actually run in them so I was anxious to get out and take them for a spin. We parked near the entrance to the ocean trails and headed out. 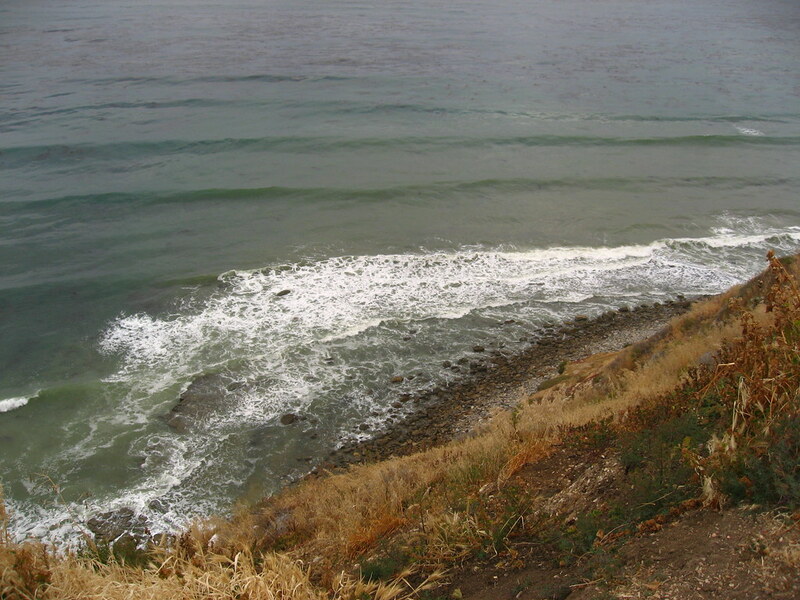 This particular trail starts out cliff side so we could see and hear the waves crashing below us. At the first fork, we turned down a switchback and zigzagged down a steep incline. 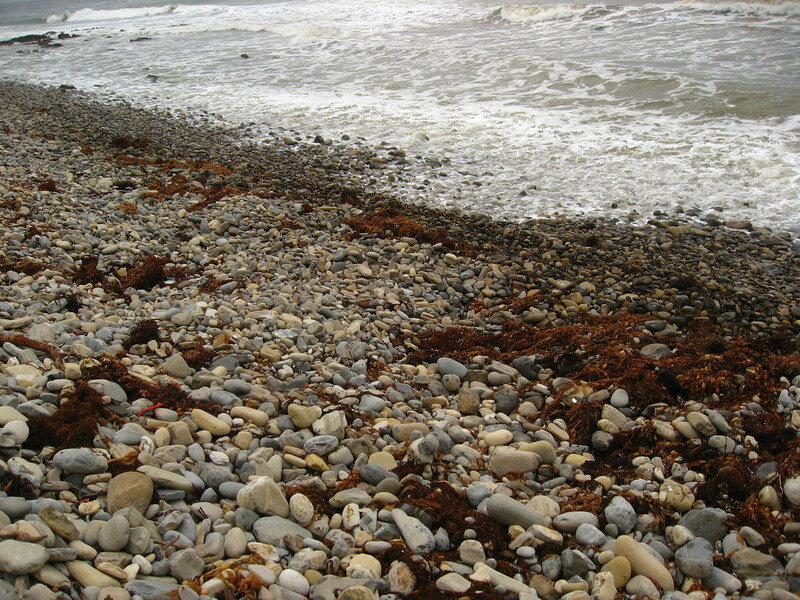 I slowed to a crawl for fear of slipping on a loose rock and tumbling. There was a rocky beach at the bottom. We paused to watch the waves. We climbed back up the winding path and continued west towards Trump National Golf Club. 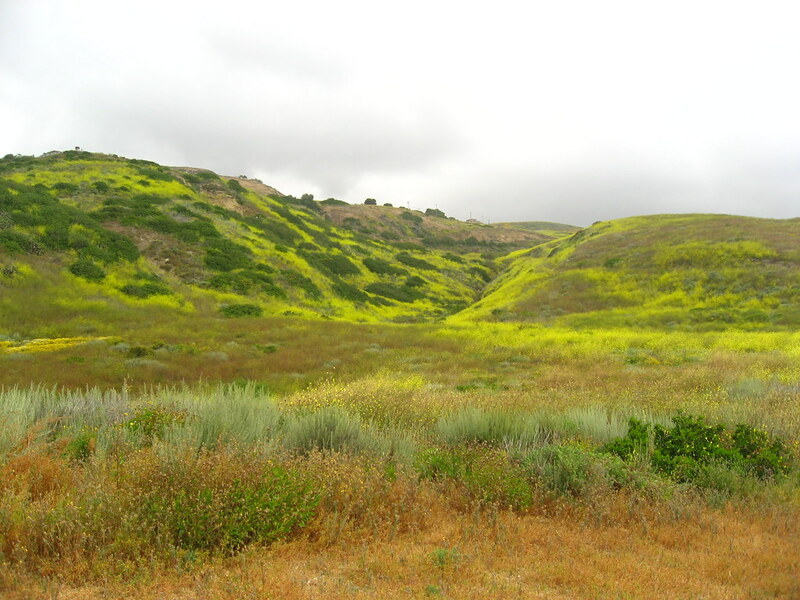 We admired the bright yellow flowers scattered across the rolling hills. Even though it was another overcast day, it was still beautiful. On our way back, we spotted the switchback we had gone down earlier. My feet immediately sensed the decreased arch support in the 760's. My arches ached the first mile or so but after that initial discomfort, the shoes started to feel good. I was relieved that the new shoes didn't seem to aggravate my plantar fasciitis or the posterior tibial tendonitis in my right foot. And as far as I could tell, my feet were staying straight and not overpronating or oversupinating. I was pleased that I could feel the ground as I was running. I feel like I have a lot more control with the less supportive shoe. I'll take them out for a few more runs this week to make sure this relationship will last beyond the honeymoon stage. Wow, that was a beautiful run! Lovely pics, thanks for sharing. Glad you are happy with the shoes. Look at them! They are already a part of the family! All dirtied and stuff! I am so excited about YOUR shoes :)! Wow. That one STEEP trail! You know - I've lived in L.A. my whole life, and I think the last time I was in PV, Marineland was still open (they closed in 1987). Yeah, it was really steep. My friend, Janey, is an experienced trail runner and it almost looked like she 'floated' down. Meanwhile, I was slowly stepping and hoping I could stay upright. "I feel like I have a lot more control with the less supportive shoe." You'll definitely notice that this is true when you start going off-road. I trail run in Inov-8 F-Lite 230's, which is a pretty low profile shoe that keeps me close to the ground, allowing less of a chance of ankle rolls and making me feel a lot more in control as I jump on, over and around rocks. If I were to try to hit the trails in my old Nike Moto6's at this point, it'd be an ankle sprain waiting to happen. Thanks for stopping by and commenting on my blog. You're new planner looks cool. I enjoy journaling but have never had a nutrition/fitness journal. Great pictures! I do want to run there! 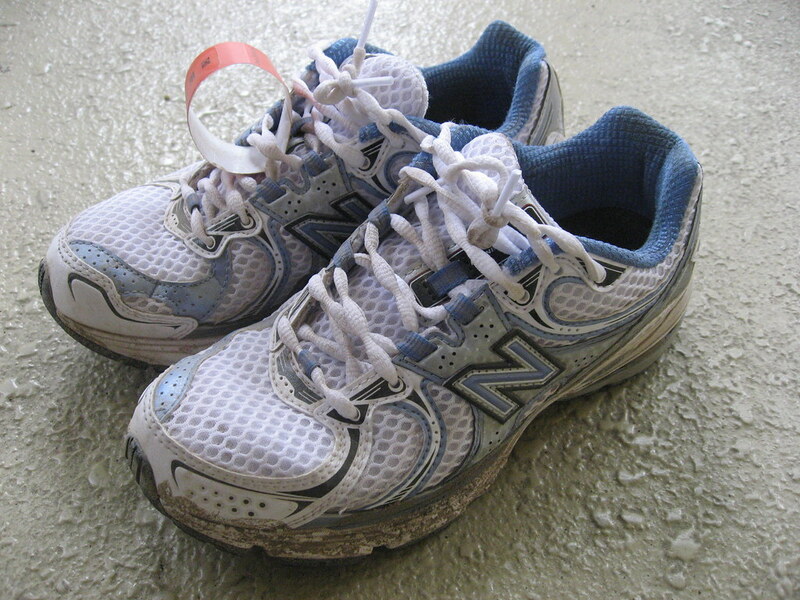 I used to wear the 769s, which were the precursor to the 760s. Unfortunately, I did not like the change so I have been seeking out a replacement model. Good luck finding a replacement, Miss Zippy. I've gone through about seven New Balance models in the past year. It's frustrating but I am very grateful for their generous return policy.